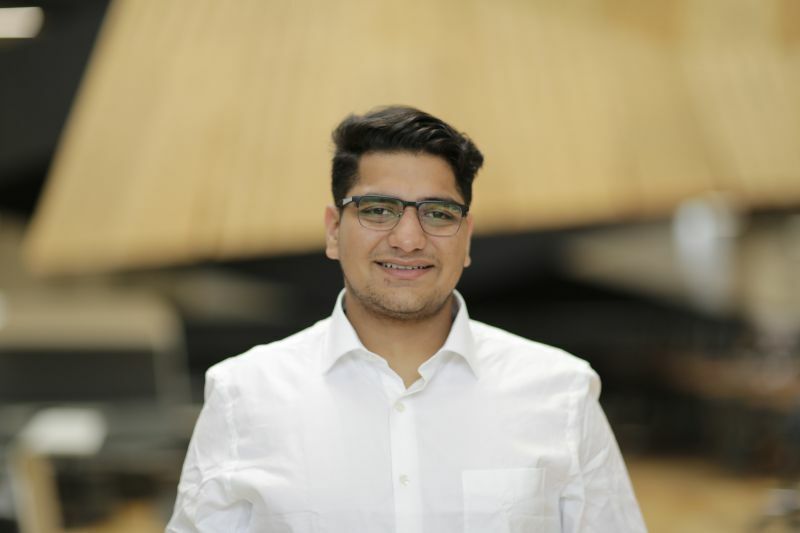 Having a keen interest in computing, Kabir Sawhney originally from India, is now studying the Bachelor of Design at the University of Melbourne. We caught up with Kabir to talk about his student experience so far. What major(s) did you choose? Is this the major(s) you intended to take when you applied for the Bachelor of Design? I chose was Digital Technologies major because I have a very keen interest in computing. This major allows me to be in touch with the human-computer interaction, which is a field I have aspired to work in since grade 10. What was your favourite first year Bachelor of Design subject and why? My favourite subject was Fundamentals of Interaction Design as I could personally connect with my lecturer and he gave me a great opportunity with this subject to explore the field of interactive technologies. My lecturer Vasillis Kostakos and tutor Niels Van Berkel used fun and innovative ways of teaching which taught me a lot about the whole discipline. I enjoyed how they shared personal experiences from industry to help teach us. What are some of the skills you have learnt while studying the Bachelor of Design? I have learned how to use software such as Adobe Creative Cloud and Rhino, which have helped me expand my knowledge based on editing. It has helped broaden my horizons in the field of graphic design, interaction design, and the representative aspects of design. How did you find out about the Bachelor of Design? Did you attend Open Day or any information sessions before you accepted your offer? I had a lot of sessions with multiple counsellors regarding which would be the perfect major for me and during an event held in India I met a University of Melbourne staff member who told me about the Bachelor of Design. From that conversation, I could see myself here at the University of Melbourne and what path I would be aspiring to take for the rest of my life. What advice do you have for other students thinking of studying the Bachelor of Design? Is there anything you wish you had known and would like to share with students weighing up their options? Explore the majors, and if you're willing to dedicate your time to it you will find something that you are passionate to learn about.I feel like students who are applying don't explore the Subject Handbook to understand what is available when you start a program. Knowing this would have helped me choose my subjects earlier! Coming into the degree and/or uni life, was there anything that you considered challenging or daunting? If so, what advice would you give new students to tackle these challenges? Coming into the University as an international student I was worried about forming a social circle and succumbing to the pressures of study. But from my first day onwards, I have met loads of people who are now my best friends and roommates. Being at a college has helped me adjust to a study routine and given me access to support when I needed it. My dream project in my future career would definitely be a device I have been planning to make since I was younger which allows anyone to locate their house keys, phone or items usually misplaced with the help of a little chip which you can speak out to at any given time.I also want to work with Google on the project loon helping them provide internet to the rural areas where the underprivileged cannot access the internet. What was the highlight of your first year at university? The biggest highlight of my year at the University of Melbourne was being part of Open Day, where I learned heaps about the university, the workings, the projects the students are doing and met some other amazing students. It was a special day for me. Melbourne consistently ranks highly amongst Universities in Australia and the region. How important is it for you to graduate with a degree from a world standard university? Why? I feel like the rankings will help me land the job of my choice at the firm of my choice which will in turn help me achieve my goals. Being in the best university in Australia gives me the privilege to do so.